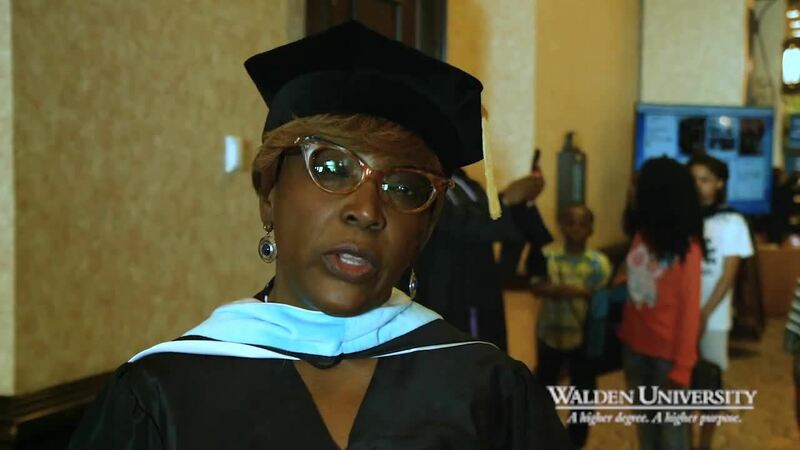 Walden University is proud to celebrate its 62nd Commencement Ceremony. We hope that you will join us on Saturday, August 3, 2019, for Walden’s 62nd Commencement Ceremony. It will take place in National Harbor, Maryland. If you are not able to attend in person, please join us for all of the excitement by tuning in to the live stream of the ceremony. Enjoy these special moments! The commencement ceremony will take place Saturday, August 3. We are still finalizing the full weekend schedule and will make it available in May. Check back for important updates to the schedule, keynote speaker, and other details. While at commencement, you can take advantage of all that National Harbor has to offer, including restaurants, entertainment, and more within steps of the Potomac River and a short distance from our nation’s capital. Explore the Waterfront District and discover National Harbor. Once registration opens in May, e-mail invitations will be sent on a weekly basis. 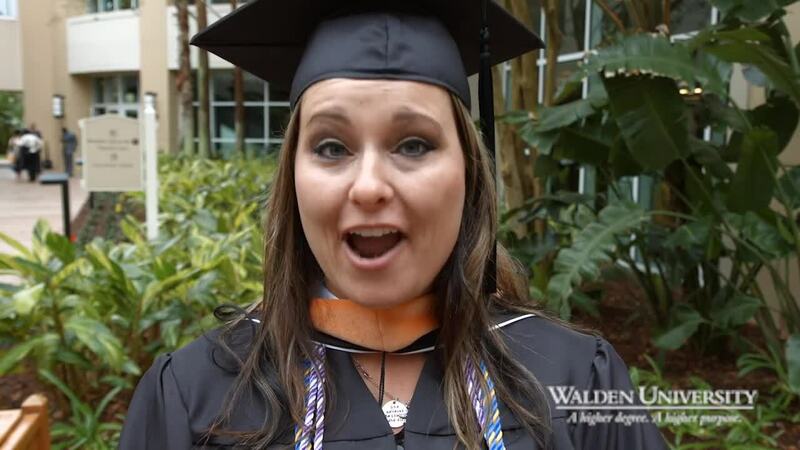 Please send an e-mail to graduation@mail.waldenu.edu if you have completed your classes but have not yet received a degree conferral e-mail. Please note that there is a one-time fee of $250 to be paid online with a credit card when you register. The Gaylord National Resort & Convention Center is located outside of Washington, D.C., and is easily accessible by taxi, Uber, or Lyft. Driving directions and public transportation information are available on the hotel website. Book your SuperShuttle transfers here. If you prefer to book by phone, you can call 1-800-258-3826 and use the booking code M82SJ. Discounted parking will be offered at the Gaylord National Resort for Walden guests at a daily rate of $14. Additional parking is available. The Gaylord National Resort & Convention Center is the host hotel for the 2019 summer commencement. Walden has reserved a block of rooms for graduates, guests, and faculty at special event rates. Staying in the host hotel gives graduates an opportunity to be a part of the Walden community of fellow graduates and faculty. Discounts at the Relache Spa. Access to the indoor pool and fitness center. Access to National Harbor discounts. an upgraded room, and reserved seating for the ceremony. Opportunities to network with fellow graduates and faculty. Book your room reservations by Wednesday, July 10, 2019, through the housing website. Please do not call the hotel directly to make your reservations. If you have questions, contact us at waldenhousing@conferencedirect.com. Availability is limited, and rooms will be booked on a first-come, first-served basis. If the room block fills before Wednesday, July 10, 2019, the hotel reserves the right to increase room rates. You will need to order a mortarboard cap, tassel, gown, and hood. Doctoral graduates may wear premium regalia or a tam instead. Jostens has a list of Walden’s hood colors by degree program. U.S. orders will be shipped directly to your home if ordered online by Thursday, June 27. International orders will be delivered to the Gaylord National Resort for pickup on Friday, August 2, or Saturday, August 3, 2019. Once you have placed your order, make sure you receive a confirmation number or notice from Jostens. When your package arrives, make sure your order is complete and that all items fit properly. If you have questions when it arrives, please call Jostens directly at 1-800-854-7464. 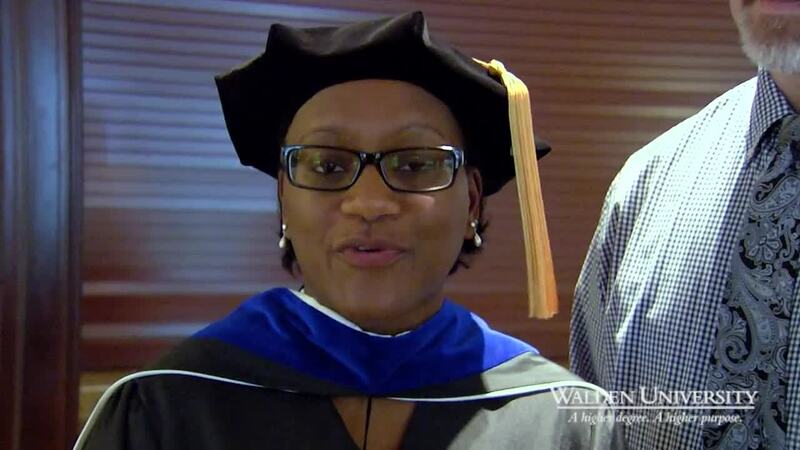 For doctoral graduates only, Jostens offers Walden University premium regalia for purchase. The deadline to order custom regalia is Friday, June 14, 2019. A limited supply of regalia will be on -site at the Gaylord National Resort for purchase in National Harbor. Please order online or by phone if at all possible. Jostens will be available at the Gaylord National Resort on Friday, August 2, from 9 a.m to 6 p.m. and on Saturday, August 3, from 7 a.m. to 2:30 p.m.
International graduates, please visit this page for more information on how to attend your commencement ceremony. The 2019 summer commencement ceremony will be captioned live. The venue is accessible to wheelchair users, and additional accessibility features are in place. If you need specific accommodations to access the event, please contact Disability Services at disability@mail.waldenu.edu. 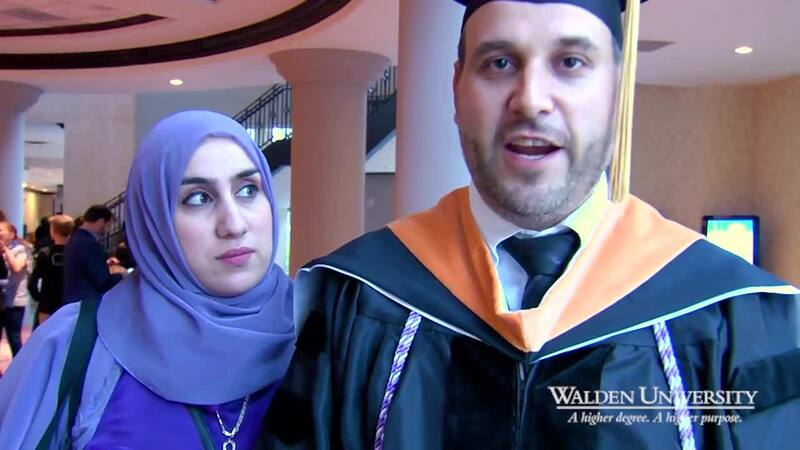 Explore the honor societies and organizations offered at Walden University. For questions regarding honor cord sales, please contact Student Organizations at studentorgs@mail.waldenu.edu. GradImages will be at Gaylord National Resort to take professional photos of graduates in their regalia. Please check back for the times photographers will be available on-site. GradImages will also take professional photos of each graduate as they cross the stage. These photos will be available for purchase after commencement weekend. To ensure that your graduation proofs are sent to you in a timely manner, you can pre-register with GradImages. Flowers will be available for purchase at commencement. Pre-order your flowers to reserve your graduate’s favorite color. Education is a lifelong journey. Walden staff member Jesse S. is getting her son Elliott started early! Share a photo of your favorite school memory in the comments below. Last week to nominate for 2019 Outstanding Alumni Award! Submit by Tuesday, April 30.